The British Army has launched an investigation after a video circulated online showing soldiers using a photograph of opposition leader Jeremy Corbyn as a shooting target. A UK Ministry of Defense spokesperson confirmed to The Cube that the video showed British soldiers from the Parachute Regiment of the army. “We are aware of a video circulating on social media, this behaviour is totally unacceptable and falls well below the high standards the Army expects, a full investigation has been launched," read a statement from the Ministry of Defence. 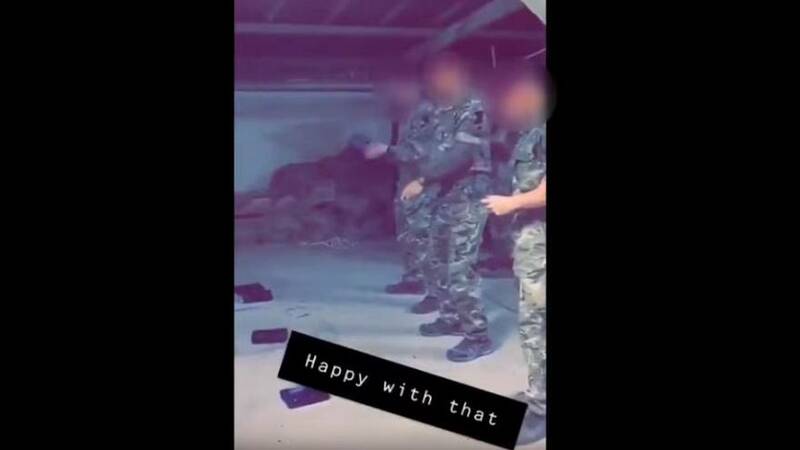 The 20-second footage originally posted on Snapchat shows four soldiers shooting at a photograph of Corbyn. who heads up the Labour Party. The video was taken in Kabul, Afghanistan, in the last few days. The spokesperson did not specify when it was filmed. “This behaviour is alarming and unacceptable. We have confidence in the MoD to investigate and act on this incident," a Labour party spokesperson told Euronews. In the House of Commons on Wednesday, Paul Sweeney MP (Labour Coop for Glasgow North East) raised a point of order regarding this footage. "The armed forces serve at the pleasure of parliament as per the Bill of Rights," Sweeney, a former reservist himself, said. "It flies in the face of all the values and standards that members of the British Army should uphold." "My understanding is that the matter is being investigated." the Speaker replied, adding that he would be "horrified if our service personnel were to behave in such a way in relation to any member of this house."